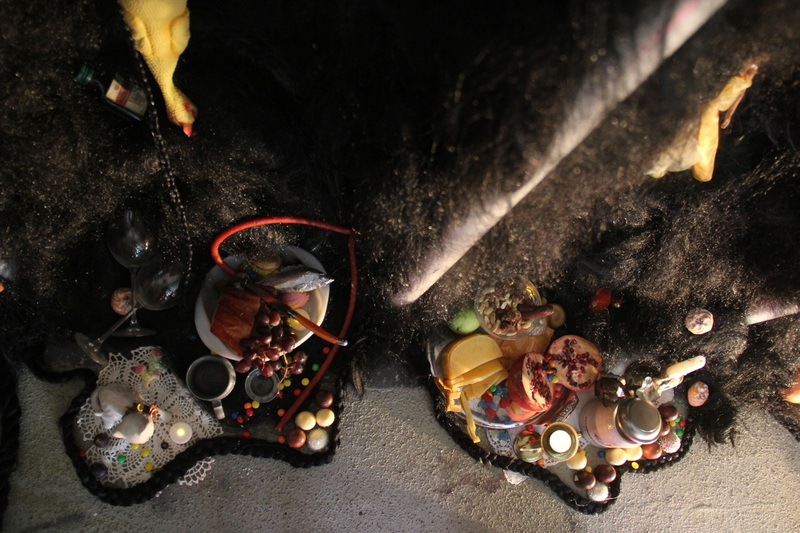 ​Together with the public, artists Janean Williams and Anna Rose consider how both hair and food are activated as entities of the sensualized, fetishized, and demonized, how are hair and food used in the construction of narratives about our (imagined) collective history? 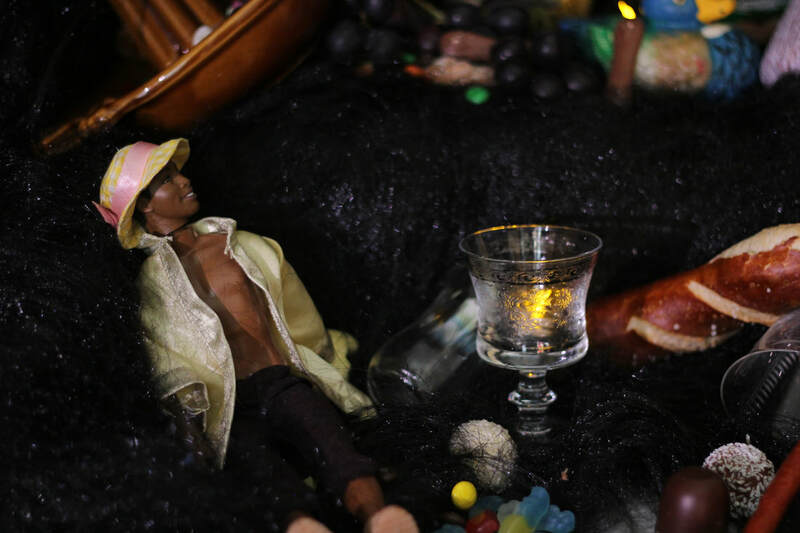 When does our lust for the pleasures of taste and touch cross over into decadence, and then again into disgust? What happens when you ask these questions in the context of a former urinal? ​Rose and Williams met as graduate students at the San Francisco Art Institute. Finding a common thread between several of their works, they began developing a series of videos and installation pieces engaged in conversation with the psychological, cultural, and historical weight of hair. 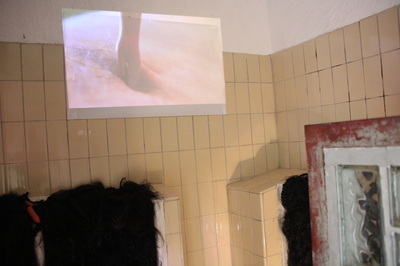 The result of their collaboration, Crosshairs, a multi-media installation was presented in San Francisco's Swell Gallery, where Hair Picnic made its first appearance. Within Das KloHäuschen, the artists add a layer of investigation to the piece, confounding the lines between a public and a private space, the intimate (and perhaps unappealing) space of the urinal turned into an series of stage-like altar pieces of food, objects, and hair meant to be tasted, manipulated, or played with. ​The installation draws on traditions of still life and vanitas painting, with a heavy dose of Americana kitsch, complete with Ken dolls, a canned ham, and a rubber chicken, as well as traditional German sausages, and other culinary delights, King Ludwig II of Bavaria also makes an appearance! 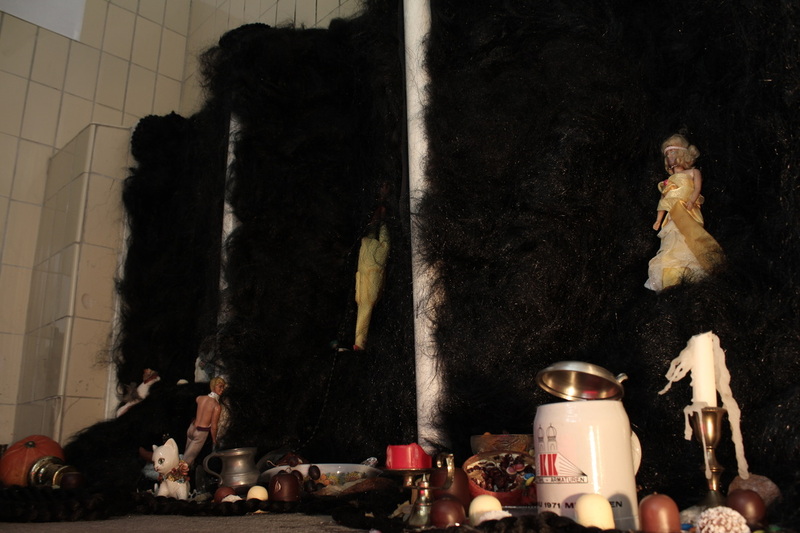 Hair Picnic at Das KloHäuschen was scarier (and hairier) than ever.